Web experts design hosting server control panels to help any kind of user, no matter how technically-skilled. Why? Because their goal is to help properly set up and manage websites. Instead of having to type complicated commands, users can just have a user-friendly GUI that performs actions. At the moment, the Plesk server panel is one of the most popular web hosting control panels in the world. It has an intuitive and clear interface that everyone can find their way around. Especially true if the user has WordPress experience since the Plesk interface assumes a WordPress approach in terms of usability. Keep scrolling for details of Plesk’s core features. 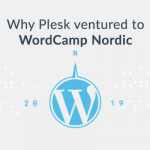 So why is Plesk so intuitive and simple? Because it provides the scope of all necessary tools you need to start – the right way. Essential tools that help you manage your website’s whole lifecycle. With Plesk Onyx, the latest release, you can use category pages for easy navigation while looking for the right tools. Also, you don’t have to pay for extensions you don’t need. Because Plesk designed its interface for you to only add what you use. This is how the overview is kept clean and simple within the server panel. Plesk Onyx and other latest versions also provide better support with new extensions such as Git, Node.js, Ruby, and Docker. Plesk server panel supports many different operating systems, platforms and technologies. Thus multiplying its strength and contributing to the fact that most Windows Server installations use the Plesk control panel. Since cPanel and others don’t support Windows OS. Still, the Plesk server panel isn’t limited to Windows servers only – it supports many different Linux versions too. Plesk also works with lots of different tools and platforms. 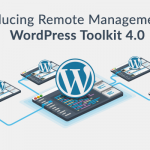 Like the out-the-box WordPress Toolkit extension. This comes available and ready to use with most Plesk Onyx editions. Administrators’ tools and extensions also include Magento, Patchman, CloudFlare CDN, and Let’s Encrypt. Compatibility with various OSs, tools, apps, and platforms allow admins to run their sites the way they see fit. Not just limiting themselves to useless or unappealing options. Give users the ability to find what they need and add it to their control panel. You’ll ensure a clutter-free environment that’s easy to use and navigate. Automation and simplified setup procedures are among the core benefits that Plesk brings to the table. 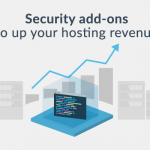 Because server admins get to reduce the efforts and time for routine tasks when they need to. You can install Plesk on Windows easily as it has a very intuitive GUI. It’s also easy to set up on Linux because it only requires one command to install with default settings. To set up a website using Plesk Onyx, you’ll have to go to the Domains page. First, simply click the domain name. Then choose Files > Databases > Install Apps > Install WordPress to make a brand-new website. If you use a CMS like Drupal, Joomla or WordPress, you can create, secure and launch a site in minutes. Just drag and drop to add new content or features without having to insert a single line of code. Most extensions have one-click installation so you can set them up instantly. You can automate server tasks by going to Tools and Resources. Then choosing Scheduled Tasks on the Tools and Settings page. Here you can schedule commands or PHP scripts too. Moreover, you get extensions like Perfect Dashboard that give you more task automation power. For example, one-click updates for all websites on one account and automated backup integrity verifications. Or engine tests to show if any layout changes have cost you broken SEO tags, social tags, or display errors. Various end-user groups with any level of experience can easily use the Plesk server panel. Because it has a clean and user-friendly GUI, huge compatibility potential and a large extension ecosystem. The latest Onyx release has a similar approach. Thus giving more capabilities, including tools and multi-server abilities. Although there are administrators who still prefer working on CLI, Plesk may still save their time. And beginners get to learn quickly and get rid of the need for third-party support services.